Precinct 1, Place 2, in McLennan County, Texas. then please donate to help Lauren stand up for those rights. 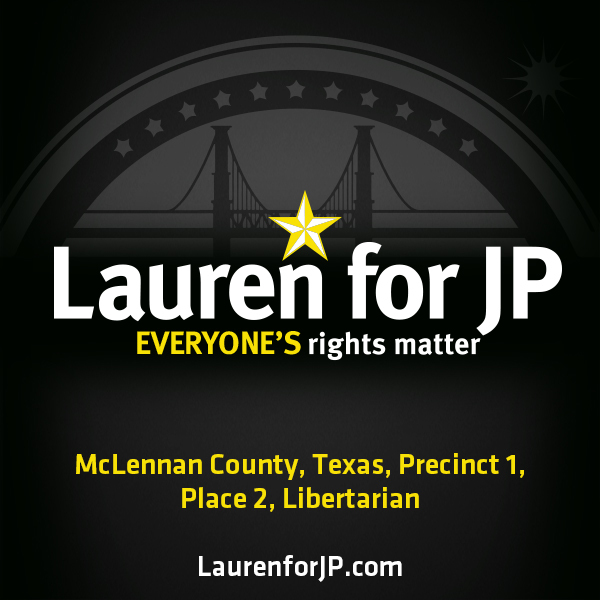 Political advertising paid for by the Lauren Daugherty for Justice of the Peace campaign. State law requires this campaign use best efforts to obtain and report the name, mailing address, occupation and employer of individuals whose contributions equal or exceed $50 per reporting period. Contributions are not tax deductible.